I am shocked that we are down to the last day of another month tomorrow , and starting our third month of 2018. This year is going by way too fast !! I have been busy in my Etsy shop, I got my shop back up to 140 items, have 58 ready to list, or just have to take pictures. I have to go through my sequins tomorrow and make sure everything is still current and if not renew it. Then I want to look at my sold sets and see if I can recreate them, if not, make others as close as possible. I thought I would share some of the new things in my shop with you . This is just 13 of the items I put up, out of 60 in the last two days. Not all were hand made items. A good amount were though. 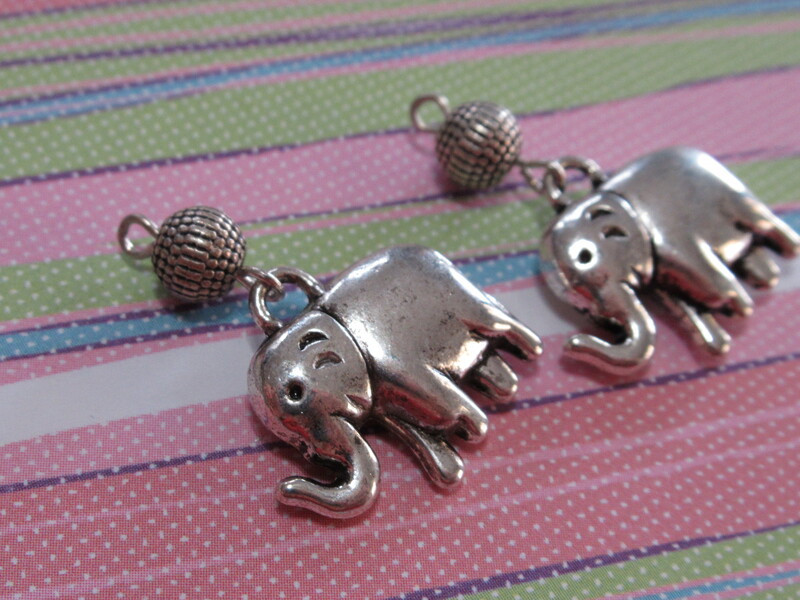 My favorite elephant charms, I made them a bit more special with a pretty textured bead. I had sold some before so I thought I would make a few more sets to list !! Back to making wine charms again. I love these turquoise ones, such pretty beads. The pearl knots are from a vintage necklace I took apart maybe 16 or more years ago. Love them. Down to my last few. 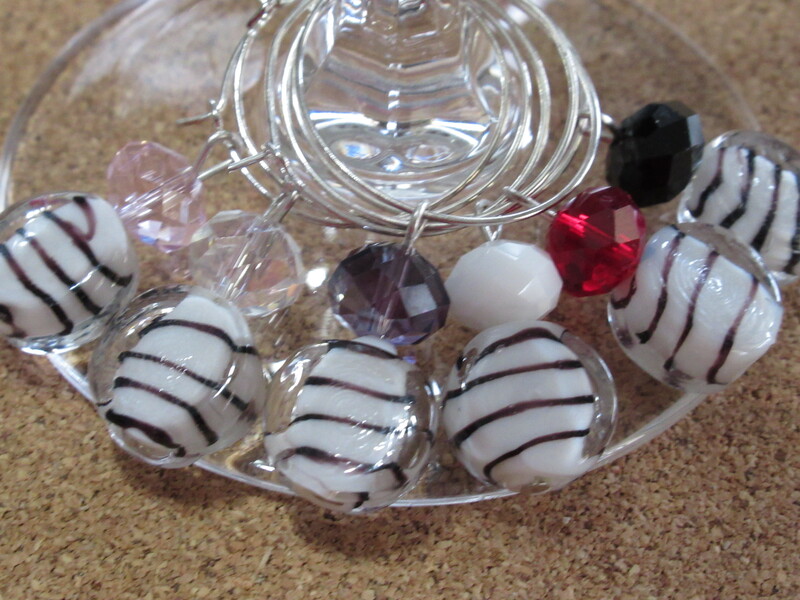 As usual I added some pretty glass beads to make them sparkle. NOT listed yet, but will be in a day or two. 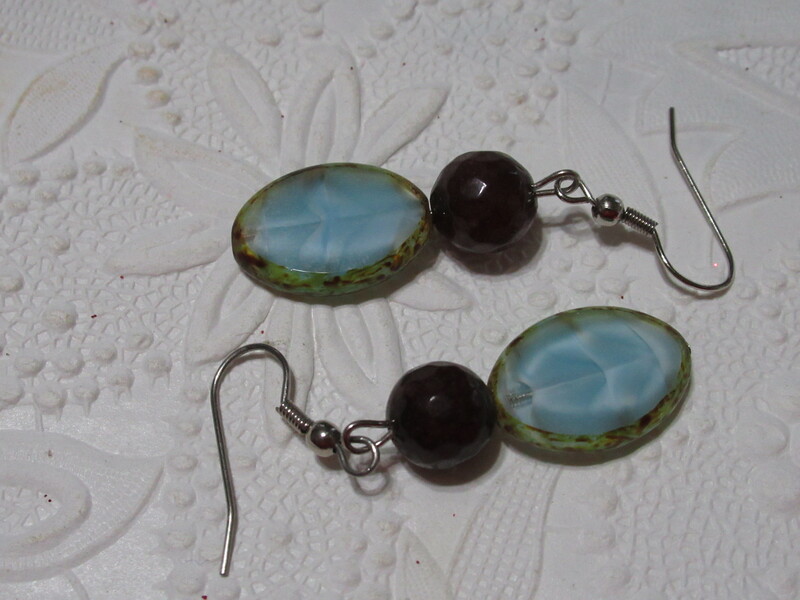 I thought it would be fun to make some brown earrings. Love how these came out. 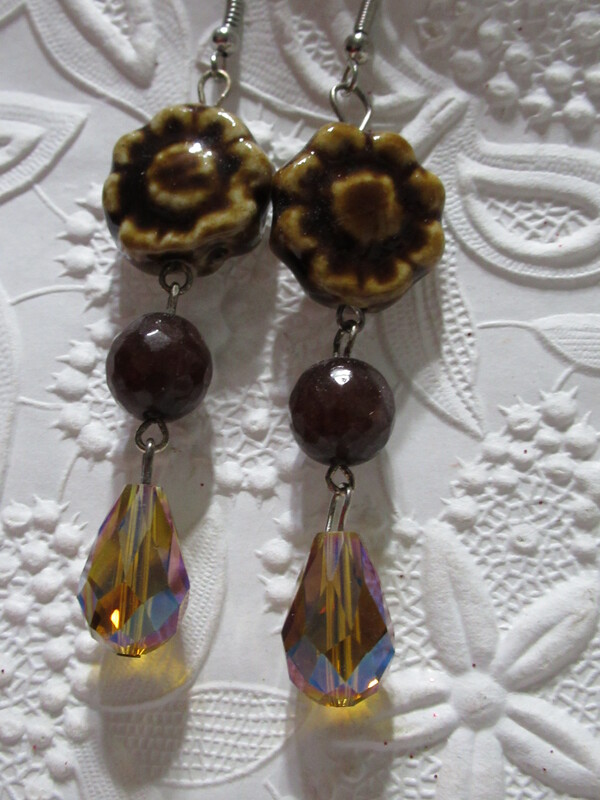 Ceramic flowers, candy jade round beads, and lovely goldish brown glass drop beads. All three of the beads I used in this set came from my more expensive Czech box. 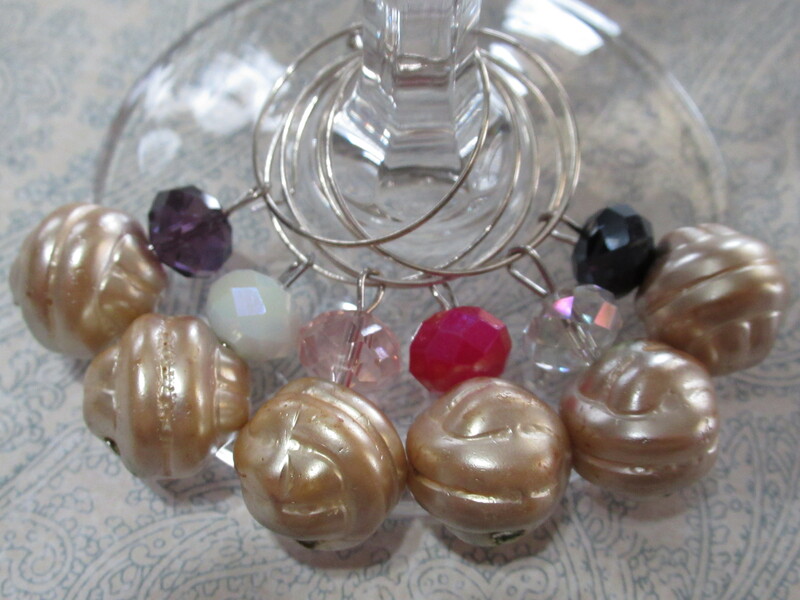 These beads are ones I buy on sale and sparingly as they are pricey , but so pretty !!! The middle is actually a rich copper, not so red as it looks, so I will have to retake those pictures. 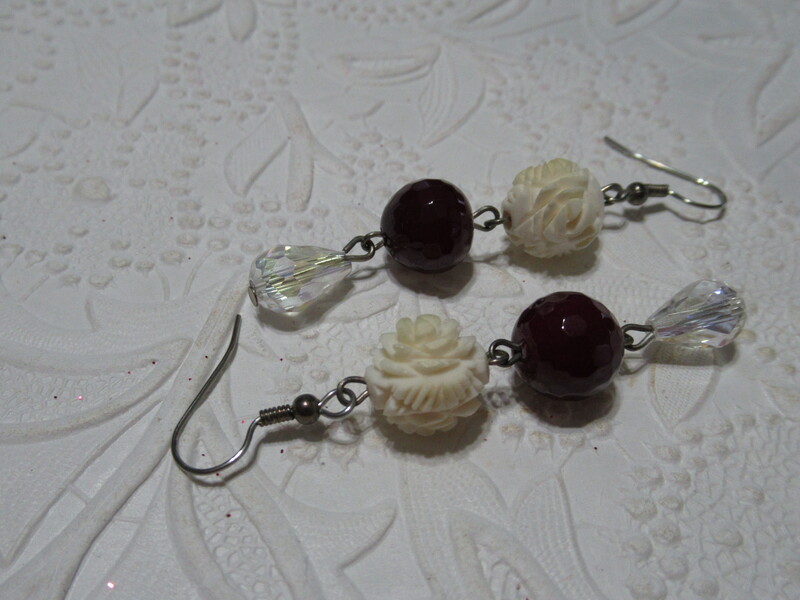 I love the white beads in the next set of earrings. 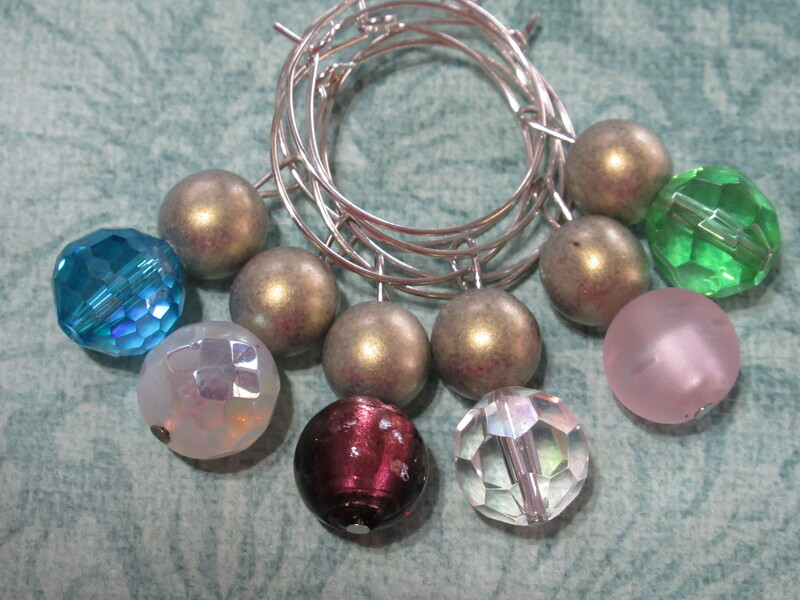 Big regret when I found a string , actually circle, of these interesting beads, I only bought one of the two. They look like bone, but not sure what they are. Very pretty and could be older. I used a deep raspberry red stone and a clear glass drop for these beauties. Another gorgeous czech bead paired with a brown candy jade bead. Love how they look together. 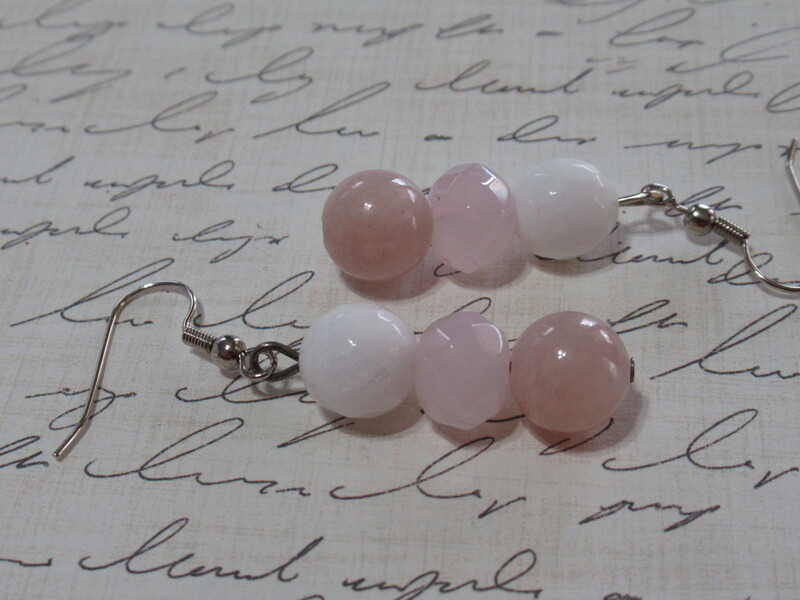 Candy jade white, and a pink stone on the bottom, not sure what, and then some pink glass faceted with one side AB, which I showed here. The other side is not sparkly but the bead is still pretty. 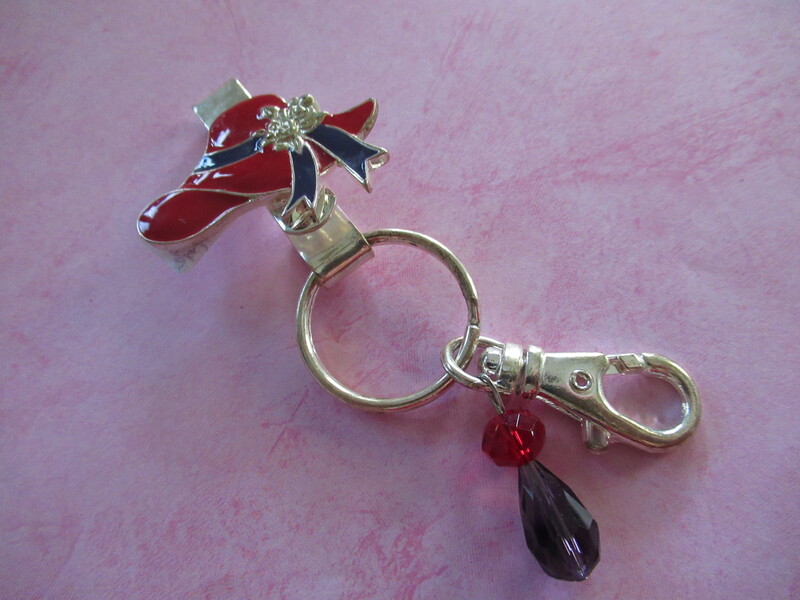 Another wine charm, my zebra stripes are always popular and sell pretty quickly. The colors all look great with the black and white. 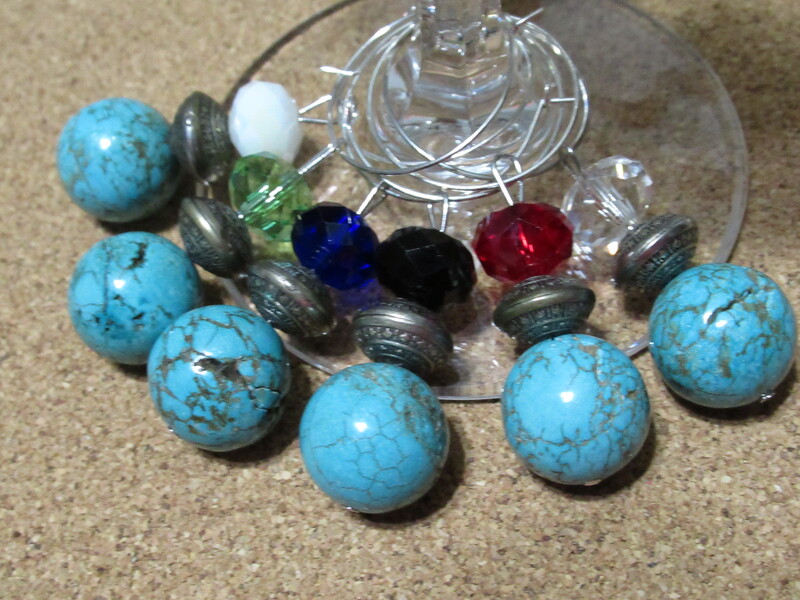 Heavy , smooth, pretty glass or stone beads. i bought them at the bead market a few years ago, I am not sure which they are. 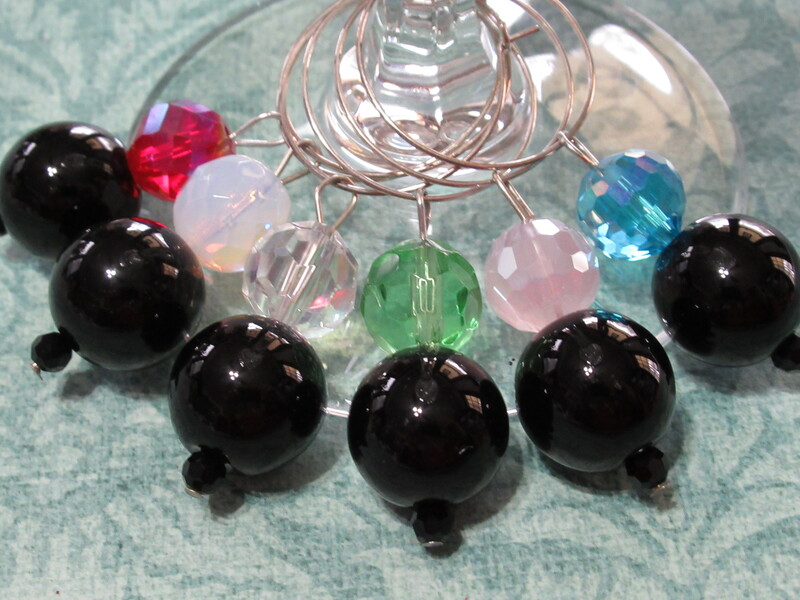 But they are so pretty with the colorful glass beads and I used a small bicone black glass bead on the bottom. 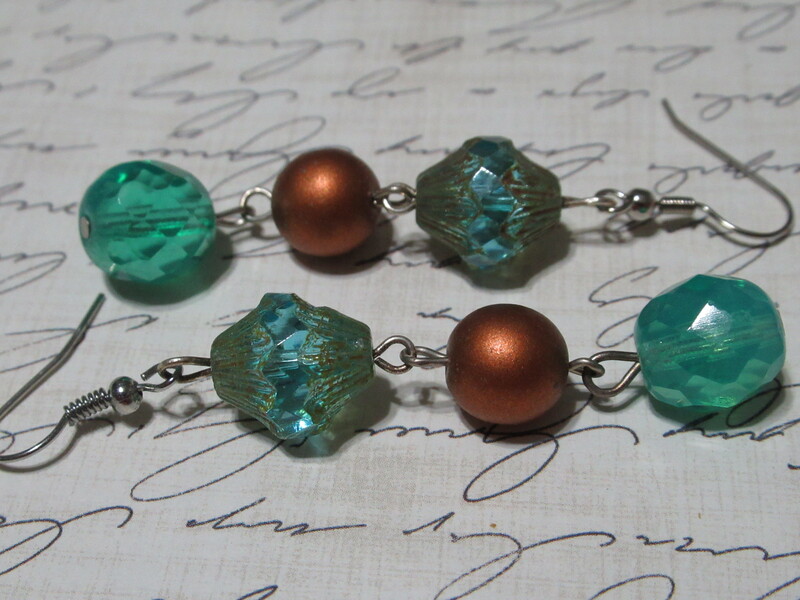 Like the copper Czech bead above, these are a gold version. 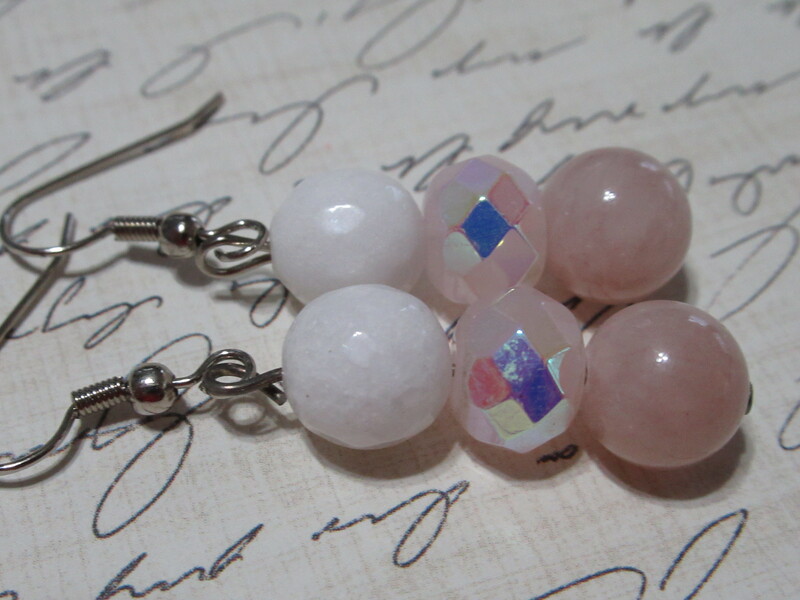 Really pretty with the glass beads . the non sparkly side of the pink beads from the pair up above. 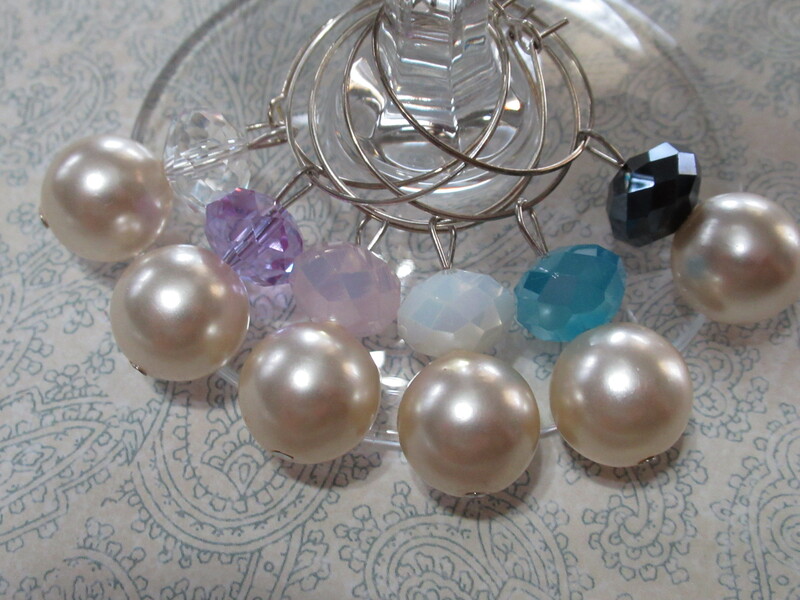 large pearl wine charms with glass beads, could be good for a wedding. 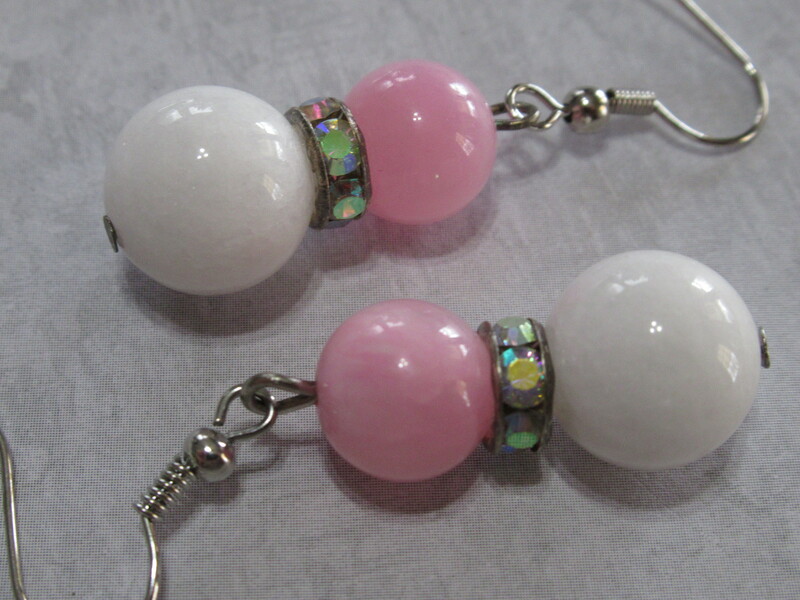 pink and white stone, with a pretty rhinestone spacer that has AB stones so it give off a pretty and colorful sparkle. Different then the usually clear rhinestone spacers I use most. Got a lot listed I did not make . Some embroidery kits, some vintage jewelry, some odd ball stuff, charms and pendants. So much to list over the next few days. I have been having a blast !! So, that is what I have been up to !! So, goodbye February and Welcome to March !!! ← TA DAAAAAAA , the room looks great !! Thank you so much, that is so kind of you to say !!!! You’re very welcome. But I speak the truth 😄 Have a great weekend!